A genius combination of three great strains in a Netherlands Greenhouse seeds formed NL5 Haze Mist. The three combined Strains are Northern Lights #5, Kali Mist, and a Haze strain. Green house added the Kali mist to an already existing NL5 X Haze which grows like any other typical Sativa. The plant develops strongly with branches that are rangy and with long extended internodes. Most indoor growers tend to train the plant. Sun Screen of Green system operates well and make use of the profuse-lateral branching and is of high yield. Sunlight environment is a requirement in the event of out growing. Out growers will harvest more as compared to indoor growers. Harvest usually takes place around October. As far as flowering is concerned, NL5 Haze Mist takes around 80 days. 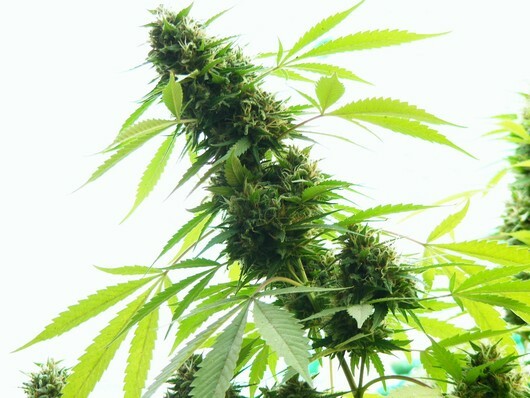 During the first week of flowering, the plant can stretch a bit, hence the need to flip her early especially under circumstances of limited space. The buds tend to grow in a foxtail like structure towards maturity. This weed gives one of the best elegant feelings with a happy and warm effect on the head. The weed has less physical effect when taken. It is also important to note the medicinal properties associated with it.